It was supposed to be a trip to show off the Communist Party’s glory, but it only led to its humiliation. A delegation of 40, including the three astronauts on China’s faked historical space walk, arrived in Hong Kong for a four-day visit as part of the original plan on December 5. Because the live broadcast of the spacewalk has been heavily questioned as a prerecorded video taken in the training base, the visit kept a very low profile compared to previous visits of Shenzho 5 and 6 astronauts. Internet surfers first discovered air bubbles in the “live-broadcast” footage released by China’s Central TV Station. These cannot exist in ultra high vacuum conditions such as outer space. Like the regime’s faked girl’s singing and faked fantastic fire-walk in its Olympic Games Opening Ceremony, http://en.epochtimes.com/n2/opinion/beijing-olympics-fake-2796.html the Space walk’s credibility was also very questionable. Dr. Qu Zheng, Senior Physics Engineer of the NASA Jet Propulsion Laboratory, analyzed the inconsistencies in the live video-feed. The questionable points include that earth’s atmosphere was not visible. A cloud suddenly changed in an obvious fashion, there was no background noise as in past conversations between the astronauts in the spacecraft and regime leader Hu Jintao on earth. The video showed the craft flying over the ocean while it was supposed to be over land according orbit calculations. Since the Shenzhou 5 space craft launched in 2003, the CCP has always made arrangements for the astronauts to visit Hong Kong and Macau to show off it space technology and stir up nationalism. However, Beijing’s media lost their clamor due to the scandals, delaying the scheduled trip to Hong Kong from November to December. 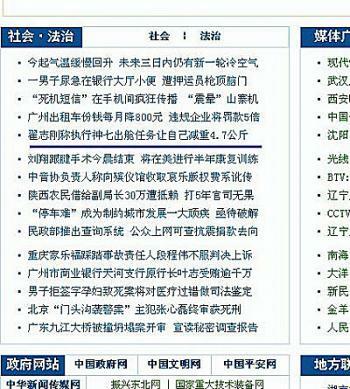 Beijing’s reports on Shenzhou 7 also turned low key and the official honors ceremony ended hastily. Shenzhou 7’s national tour also kept an unusually low profile. On November 14, the day after the regime announced the Shenzhou 7 trip to Hong Kong, it was delayed. As a prelude to the visit, Wang Zhonggui, deputy director of the China Manned Space Engineering Office, and Yu Dengyun, deputy director of the China Academy of Space Technology, came out to defend the authenticity of the space walk on different media. They even attempted to bend the laws of physics in front of thousands of viewers by arguing that it is possible to form air bubbles in an ultra high vacuum condition. This is the regime’s first public defense after the scandal broke out over a month ago. Read this article in the original Chinese: http://epochtimes.com/gb/8/12/6/n2354146.htm. Red Bull's Sebastian Vettel led lights-to-flag—for his third consecutive race—in the Formula One Indian Grand Prix.